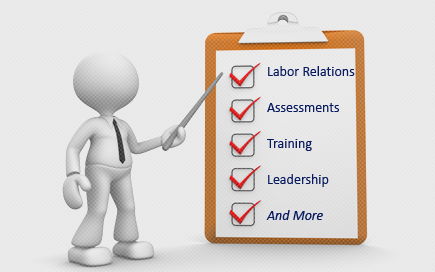 Labor Relations News Update March 3, 2015 | Oliver Bell, Inc.
HOUSTON – Personal friendships are turning sour as some workers cross picket lines in the lingering U.S. refinery strike, with companies pushing laborers to return to work by saying they could lose their bonuses. A month into the biggest U.S. refinery walkout in 35 years, money is tight as strike pay from the United Steelworkers union is a fraction of normal wages. About 6,550 workers are on strike at 15 plants, including 12 refineries with a fifth of U.S. capacity. Companies are relying on temporary replacements to keep plants open. Up to 70 employees, out of 800, at Royal Dutch Shell Plc’s Deer Park, Texas, refinery have decided to return to work, prompting feelings of betrayal, sources with knowledge of the situation said. “I don’t know if I could go back. I don’t know if I could look them in the eye,” one striking worker said of returning to work with those who have crossed the picket line. Another striking worker, who like his peer declined to be identified, complained of frayed personal ties. “Friendships are gone,” he said. Shell has said it did not initiate contact with laborers who returned to work. Many of them were on strike, but are not formal union members under Texas’ right-to-work laws. On Monday, Tesoro Corp., which has been hit by walk-outs at three of its West Coast refineries, appeared to ask employees to give up the strike by saying those at work would receive their 2014 bonuses. “This week those of us at work and eligible will receive the monetary recognition of our 2014 efforts in the form of (a bonus),” Tesoro executive Keith Casey said in a letter to employees, a copy of which was shared with reporters. Striking workers in Texas said the mood was tense. “Before we went out, all we heard from the managers was ‘We’re one site, we’re one team.’ Now they won’t even talk to us,” said a third striking Deer Park worker. Negotiations between the USW and Shell, which leads talks for the oil companies, will resume Wednesday. A deal was nearly reached last week but collapsed. The USW has pushed for higher pay and more jobs under a three-year contract that would include tougher rules to prevent fatigue, which the union has tied to accidents. But focusing on fatigue could hurt overtime. Some workers earn about $70,000 a year before extra time. Colombian oil workers will launch a nationwide strike protesting the recent layoffs within the petroleum sector. Colombia’s largest oil workers’ union will launch an indefinite strike in protest of mass firings by companies hit by the global fall in crude prices, the group’s president said on Monday. According to the Colombian Ministry of Labor, there are 110,000 people employed in Colombia’s hydrocarbons sector, out of which around 10,000 workers have already been laid off and firings could reach 25,000 this year. The union is willing to negotiate with the government in a bid to avoid the strike, Castaño stated, adding that officials from the energy and labor ministries have so far been unwilling to speak with USO. Due to the recent fall in oil prices, a survey of 37 oil companies present in Colombia conducted by the local oil industry association ACP and Burson Marsteller found that 52 percent of those firms plan to cut investments because of financial costs. Meanwhile, Mauricio Cardenas, Colombia’s finance chief told the Telegraph that he believed it was unlikely that prices would bounce back to much higher levels. “We’ve talked to analysts and experts. We don’t think the current market conditions are going to change any time soon. If prices recover that’s going to be good news [but] we’re planning for the new normal for prices between US$60 and US$70,” he stated. Oil sales account for more than half of Colombia’s exports and 15 percent of government revenue. For the first time since 2009, unionization rates among government-sector employees increased in 2014, from 38.7 to 39.2 percent. Meanwhile, the union share of private-sector employees fell 0.1 percent to 7.4 percent. Despite the drop in overall representation, more private sector employees were represented in 2014 than at any time since 2009, with 8.2 million employees covered by a collective bargaining agreement. The Teamsters’ efforts to unionize FedEx Freight employees is faltering. The union is attempting to organize employees at FedEx Freight facilities across the U.S., but in January it lost two elections in West Virginia and withdrew another in the state. In past months, the Teamsters won elections at FedEx Freight facilities in North Carolina and New Jersey, while it lost elections or withdrew petitions at six facilities in New Jersey, Virginia, Tennessee, and Kentucky. The Service Employees International Union (SEIU) won representational rights for 232 service and technical employees at Easton Hospital in Wilson, Pa., and quickly reached a first contract providing a 2 percent wage increase and a freeze in employees’ share of health insurance costs. Adjunct faculty at Washington University in St. Louis voted in favor of SEIU representation. Of the 404 eligible voters, 138 voted for the SEIU, while 111 adjunct faculty voted against. The vote preceded similar elections in California, where about 900 adjunct professors and contingent faculty at St. Mary’s College, Dominican University, and Otis College of Art and Design voted for SEIU representation. Meanwhile, the SEIU withdrew from an effort to unionize adjunct faculty at Pacific Lutheran University in Tacoma, Wash. after 38 outcome-determinative votes were challenged by the employer. Employees at a Con-way Freight facility in Bakersfield, Calif., voted against representation by the Teamsters. The Bakersfield vote follows previous Teamster defeats in elections at Con-way Freight facilities in Santa Fe Springs and San Fernando Valley, Calif.; Manchester, N.H.; and Harlingen, Texas. Earlier, the Teamsters withdrew a petition for a vote at Con-way Freight’s facility in Irvine, Calif. The International Association of Machinists (IAM) petitioned the National Mediation Board for a vote to represent Delta Air Lines flight attendants, stating 60 percent of the proposed bargaining unit signed authorization cards in support of the IAM. The drive to unionize flight attendants at Delta is the fourth attempt since 2002. After Delta merged with Northwest Airlines in 2010, flight attendants rejected organization efforts by the Association of Flight Attendants-CWA. Delta has the fewest union-represented employees among the four largest U.S. air carriers. In an effort to improve the odds of developing a casino and hotel in Kenosha, Wis., the United Food and Commercial Workers (UFCW) and the Menominee Indian Tribe agreed to cancel a card-check agreement that permitted casino employees to choose representation by signing union authorization cards instead of conducting an election. Hard Rock International will partner with the Menominees to develop the casino and hotel, if plans are approved. Eight striking carwash employees at Vegas Auto Spa in Brooklyn, N.Y. unanimously voted in favor of representation by the Retail, Wholesale, and Department Store Union. The employees have been on strike since November, which resulted in the carwash closing operations for two months. Now, Vegas is operating with replacement workers. The Los Angeles chapter of the AFL-CIO has endorsed a boycott of El Super grocery stores in California, Arizona, and Nevada. The boycott began December 20, 2014, after El Super and four local chapters of the UFCW failed to reach an agreement to renew labor contracts that expired in September 2013. UNITE HERE is behind a nationwide series of protests seeking to improve airline food workers’ health insurance benefits. The union is campaigning for airlines to increase fares by a “Nickel a Ticket” and apply the extra revenue to subsidize health insurance for employees of airline vendors such as, LSG Sky Chefs, Gate Gourmet, and Flying Food Group. Labor agreements covering Sky Chefs and Gate Gourmet employees are expired, and health care has been a major issue in negotiations to settle new contracts. First-year wage increases in collective bargaining agreements reached in the first month of 2015 are outpacing those reported in a comparable period in 2014. According to figures compiled by Bloomberg BNA, the average first-year wage increase was 2.4 percent in contracts settled through January 26, compared to a 1.8 percent average increase last year. When lump-sum payments are included, wage increases averaged an increase of 2.9 percent compared to 2 percent in 2014. Manufacturing and construction contracts have seen the highest increases. The United Steelworkers settled a new labor agreement with Kaiser Aluminum Corp., covering 1,200 employees in Ohio and Washington. Over the term of the five-year agreement, employees will receive a 14 percent wage increase, and Kaiser agreed maintain the current health care plan under which Kaiser pays 100 percent of premiums. Kaiser will also boost the hourly rate that it contributes to the Steepworkers Pension Trust by $0.25 in the third year of the agreement. American Airlines Group pilots represented by the Allied Pilots Association will receive an immediate 23 percent pay increase in addition to subsequent annual raises under a newly ratified agreement. The deal joins pilots from American and U.S. Airways under the same contract for the first time following the companies’ 2013 merger. It also pushes American’s pilots base rate 7 percent higher than those at Delta Air Lines. American pilots accepted $315 million in pay cuts in connection with the carrier’s 2011 bankruptcy. After four months of negotiations, the United Auto Workers and Navistar International Corporation tentatively settled a four-year contract covering 1,800 employees in five states. The terms of the deal are confidential pending a ratification vote set for February 8. Although its members rejected similar deals three times, the executive board of a UFCW San Francisco local ratified a three-year labor agreement with Macys. Under the agreement, 1,200 Macys employees will receive a $0.45 per hour wage increase retroactive to June 1, 2014. Teamsters Local 202 represented employees ratified a three-year contract with the Hunts Point Produce Market in the Bronx. Most employees will receive a 3 percent pay increase per year, while some higher-paid employees will receive smaller increases. Higher-paid employees will also be required to pay a small portion of their health care benefits. The California Nurses Association and Kaiser Permanente agreed on a 31-month contract covering 18,000 registered nurses at Kaiser Permanente hospitals and clinics in northern and central California. Nurses will receive a 4 percent lump-sum payment, 3 percent increases in 2015 and 2016, and a 4 percent increase in 2017. Kaiser also agreed to hire 500 new nurses and to provide annual paid release time for 25 nurses per year to participate in a CNA-organized disaster relief program. In New York City, the Realty Advisory Board and the International Union of Operating Engineers settled a contract covering the terms of 4,000 apartment and commercial building employees. The new agreement provides for 3 percent annual wage increases, and employer health care contributions will incrementally rise almost $1 per hour over the four year term of the agreement. The agreement also provides that all wage-related disputes are to be resolved through grievance and arbitration procedures. The SEIU tentatively agreed to a contract with the state of Minnesota covering 27,000 home care workers. Details of the agreement are not available pending ratification. If ratified, the contract must be approved by Minnesota’s state legislature before it is effective. A strike that threatened to slow production of television commercials in California was averted when the Teamsters ratified a new contract with the Association of Independent Commercial Producers. In Canada, the average base wage rate increases for collective bargaining agreements reached in November 2014 failed to keep pace with the inflation rate in the same period. Major contracts reached in November saw an average base wage rate increase of 1.5 percent, while inflation during the same period was 2.0 percent. The largest average increase came in the public administration sector, where wage increases averaged 2.5 percent. The U.S. Supreme Court held that courts interpreting collective bargaining agreements should use ordinary contract principles when working to determine whether retirees have a “vested” right to lifetime health care benefits, and not apply special inferences or presumptions in favor of vesting. In a unanimous decision, the Court invalidated the Sixth Circuit’s so-called “Yard-Man inference” that retiree health care benefits are vested (i.e., unchangeable) absent specific language to the contrary in the applicable plan document or collective bargaining agreement. Justice Clarence Thomas, writing for the Court, explained that union contracts are to be interpreted according to “ordinary principles of contract law, at least when those principles are not inconsistent with federal labor policy.” Accordingly, citing “the traditional principle that ‘contractual obligations will cease, in the ordinary course, upon termination of the bargaining agreement,’” the Court held that, “when a contract is silent as to the duration of retiree benefits, a court may not infer that the parties intended those benefits to vest for life.” M&G Polymers USA, LLC v. Tackett. For further analysis see our client briefing, Supreme Court Invalidates “Inference” of Vesting of Retiree Medical Benefits. A federal court in Michigan refused to remand a case to state court because it determined that state law claims of defamation, interference with a contract, and intentional infliction of emotional distress were preempted by the Labor Management Relations Act. The complaint alleged that an employee’s union steward falsely accused the employee of threatening to kill his supervisor. The court agreed with the union steward that the claims should be in federal court because a collective bargaining agreement required her to report the threat, and the court would therefore have to interpret the agreement to assess the steward’s defense. Baker v. Royce. The D.C. Circuit Court of Appeals overturned a National Labor Relations Board (NLRB or Board) ruling that a company’s policy barring employees from wearing certain hats violated the rights of its workers. World Color (USA) has a policy prohibiting employees from wearing hats other than those bearing the parent company’s logo. The NLRB faulted the policy asserting that it was unlawfully overbroad because it prohibited employees from wearing caps with union logos. The D.C. Circuit held that because the company permitted employees to display union insignia on the approved caps, the Board’s reasoning was unsustainable. World Color (USA) Corp. v. NLRB. The U.S. District Court for the Northern District of Florida denied the NLRB’s effort to recover attorneys’ fees incurred in the enforcement of an investigative subpoena. The court ordered that the defendant turn over the documents sought by the subpoena, but held that Rules 37 and 45 of the Federal Rules of Civil Procedure, both of which authorize awards for attorneys’ fees in certain circumstances, did not apply to administrative subpoena enforcement actions. NLRB v. Durham School Services, LP. A federal district court in Nevada allowed a secondary boycott claim to go forward against the International Brotherhood of Electrical Workers (IBEW) in Las Vegas. The suit stems from IBEW Local 357’s threat to picket Desert Sun Enterprises. In determining whether Desert Sun had alleged enough facts to proceed, the court held that a vague message Local 357 sent to the Las Vegas Convention and Visitors Authority about the possible strike could be an unfair labor practice insofar as it had a secondary purpose of forcing the Authority to stop doing business with Desert Sun. Desert Sun Enterprises v. Electrical Workers IBEW Local 357. The U.S. District Court for the District of Nebraska entered a temporary restraining order enjoining the Brotherhood of Locomotive Engineers and Trainmen (BLET) from striking against the Union Pacific Railroad. Since September 2014, BLET and Union Pacific have been negotiating an agreement related to job bidding after BLET notified the railroad that it was cancelling a 2005 contract that established a system for employees to bid on jobs. Union Pacific argued that a strike would result in major disruptions on its nationwide rail system. Union Pacific Railroad Co. v. Locomotive Engineers. An NLRB administrative law judge ruled that DTE Energy Company did not unlawfully interrogate a union steward about protected organizing activity when management questioned the steward in connection with investigation of a workplace harassment complaint. DTE interviewed the steward after it received a complaint that she harassed an employee about signing a witness statement in connection with a grievance. The ALJ held that the company’s questions were tailored to investigating the harassment claim and only “peripherally touched” concerted activities protected under the NLRA. DTE Energy Co.
Michigan Governor Rick Snyder signed legislation banning college athletes from unionizing. The new law excludes athletes from the definition of “public employees” permitted to collectively bargain under Michigan law, although a similar law barring graduate assistants at state colleges from unionizing was previously held unconstitutional. The move follows last year’s unionization effort among football players at Northwestern University. South Carolina Governor Nikki Haley used her State of the State address to criticize IAM’s efforts organize workers at Boeing Company’s North Charleston assembly plant. Governor Haley stated that South Carolina, a state in which just 3.7 percent of workers are union members, has created a world-class business climate in part because of the “minimal role” unions play in the state. The IAM is seeking to organize 3,000 Boeing South Carolina based employees that assemble the fuselage of the 787 Dreamliner. A number of business groups have filed lawsuits challenging the NLRB’s election rule changes scheduled to take effect April 14, 2015. The changes are intended to shorten the time required for union elections, but business groups including the U.S. Chamber of Commerce and the National Federation of Independent Businesses Texas say the rule changes are arbitrary and contrary to the National Labor Relations Act (NLRA). In a letter to NLRB Chairman Mark Gaston Pierce, 16 U.S. Senators have urged the Board to defend the rule changes. For more information on NLRB’s election rule changes, see our client briefing NLRB Issues Final Rule Regarding Representation Cases. Business advocacy groups continue efforts to generate precedent-setting litigation holding that the NLRA does not preempt local governments from enacting right-to-work ordinances. At least four Kentucky counties enacted right-to-work ordinances in January despite an advisory opinion from Kentucky Attorney General Jack Conway stating that local governments do not have such authority. The AFL-CIO of Kentucky plans a lawsuit challenging the county ordinances as violations of Section 14(b) of the NLRA, which grants states and territories, but not local governments, the right to pass right-to-work laws. The Heritage Foundation and the American Legislative Exchange Council plan to push similar measures before local governments in Washington and Wisconsin. Senate Republicans introduced legislation aimed at reforming the NLRB. The bill is sponsored by Majority Leader Mitch McConnell and Senator Lamar Alexander. Among other proposals, it would add a sixth member to the Board and permit parties to challenge actions by the Board’s General Counsel and seek district court review of complaints within 30 days of filing. President Obama is likely to veto the bill if it passes. President Obama has again nominated Allison Beck, the former General Counsel of the IAM, to head the Federal Mediation and Conciliation Service (FMCS). Ms. Beck has been Acting Director of the FMCS since 2014 when President Obama initially nominated her. However, the Senate failed to vote on her nomination before the last Congressional session ended. A Philadelphia-area union leader was convicted of racketeering following a federal jury trial. Philadelphia Ironworkers Local 41 leader Joseph Dougherty faced charges that he led a conspiracy to intimidate nonunion contractors in the Philadelphia area using tactics including arson, vandalism, threats of violence, and property destruction to force contractors to hire union members. Dougherty faces between 15 and 110 years in prison. A family of current and former leaders of Southern California’s United Industrial and Service Works of America Local 101 were indicted for embezzling $900,000 in union funds. John Romero and his wife, Evelyn Romero, served as presidents of the union, and their children John and Danae served in other official capacities. The 40-count indictment includes charges of conspiracy, knowingly falsifying information, and willfully misusing union funds. The U.S. Attorney for the Southern District of New York agreed to end a consent decree that the Teamsters had operated under since 1989. The agreement will phase out the union’s Independent Review Board, a panel charged with rooting out corruption in the union, but an independent election supervisor will continue to oversee internal Teamster elections. The government will also retain the ability to apply to a court to seek equitable relief if it believes that corruption resurfaces or that the Teamsters’ election or disciplinary systems become ineffective. Teamsters President James P. Hoffa said the agreement marked a historic day for the union. Senator Elizabeth Warren, Labor Secretary Thomas Perez, and AFL-CIO President Richard Trumka addressed the AFL-CIO’s National Summit on Raising Wages. The union plans a series of events across the nation, including in states with early presidential primary elections. The Newspaper Guild-CWA is now known as NewsGuild-CWA. The name change is intended to reflect dramatic changes in the newspaper business over the past 15 years. The guild represents 34,000 U.S. and Canadian employees in various news-industry positions. The international fight between traditional taxi unions and car-ride applications like Uber continues. For three days in January, unions and alliances representing taxi drivers in the U.S. and Europe met in New York City to strategize ways to retain market share and protect taxi drivers’ jobs. The income of taxi drivers in cities where Uber operates often declines, with drivers’ incomes falling as much as 35 percent in some cities. Many in attendance stated that they see apps that provide access to regulated cabs as a viable way to compete. Teamsters Local 776 in Pennsylvania allegedly fired an employee for unionizing. Kimberly Leonard worked in Local 776’s front office, and, in 2014, she negotiated a collective bargaining agreement with the Federation of Agents and International Representatives to represent her and her co-workers. Ms. Leonard’s efforts were supported by Local 776’s then-president Fred Wilson, but she was subsequently fired by Ed Thompson, Mr. Wilson’s successor. Ms. Leonard has filed an NLRB charge.